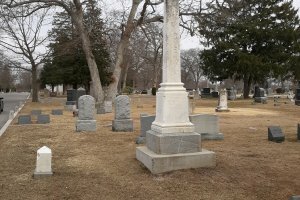 On Tuesday evening, June 4th, (rain date June 6), from 6 to 8pm, the Historical Society of Islip Hamlet will give a guided tour of Oakwood Cemetery, founded in 1880, in Bay Shore. After an introduction on the history of the Cemetery in the Chapel, guides in period dress will impersonate or describe the lives and times of famous or infamous persons who lived in Islip hamlet; America Cup captains, soldiers of the Union and Confederate armies, captains of industry, movie moguls, victims of crime and tragedy, and others whose stories are worth telling. An informative and entertaining evening. The program is free and open to the public. Water and chairs will be provided. For more info: www.isliphamlethistory.org, or call 631-245-0675.